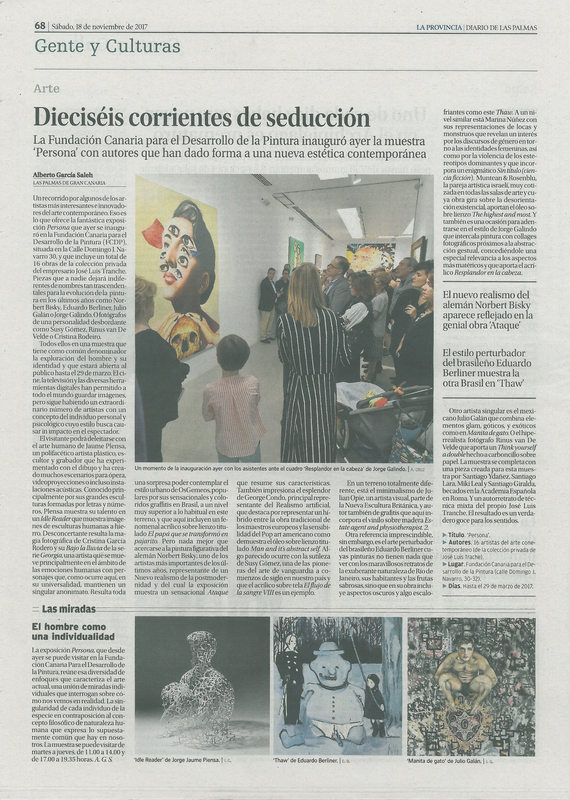 On July 1st, the Fundación Canaria para el Desarrollo de la Pintura, opened its doors. A Foundation born of a family collection, after forty years of passion for art, visiting galleries in national and international fairs. This is how an entrepreneur of the automotive sector in the Islands has been creating an art collection of more than 600 works. 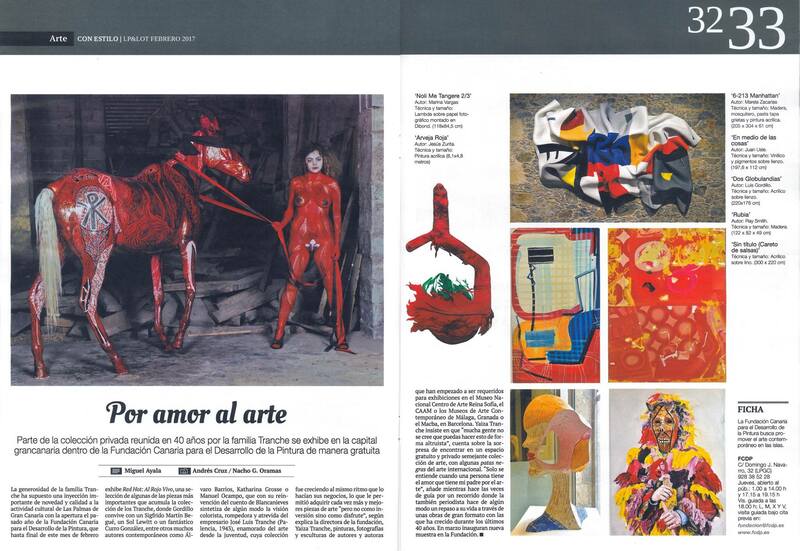 Some art works began to be required by some museums like the Reina Sofía National Art Center Museum, the CAAM of Las Palmas de Gran Canaria, the CAC of Malaga, or the MACBA. And so the idea of ​​this project is that all the works acquired during these years could be shared with anyone who is interested. 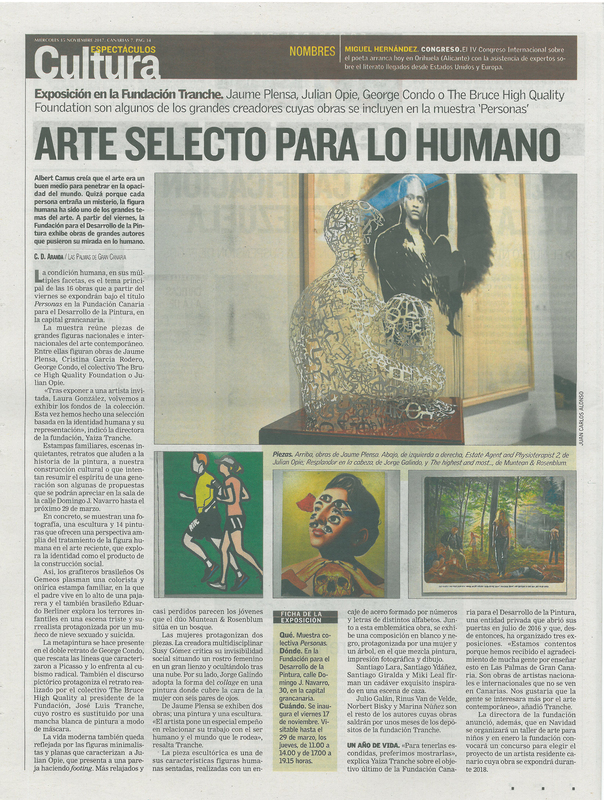 As a result, the idea of ​​the Foundation was outlined in order to materialize a dream, to show the public our love for art; In addition to offering a new cultural showcase to the city of Las Palmas de Gran Canaria, something that fills us with satisfaction. It was a hard task to create the Foundation, but once achieved, the next challenge was to acquire a building from the nineteenth century in the district of Triana, and condition it with restoration works to show the art collection. 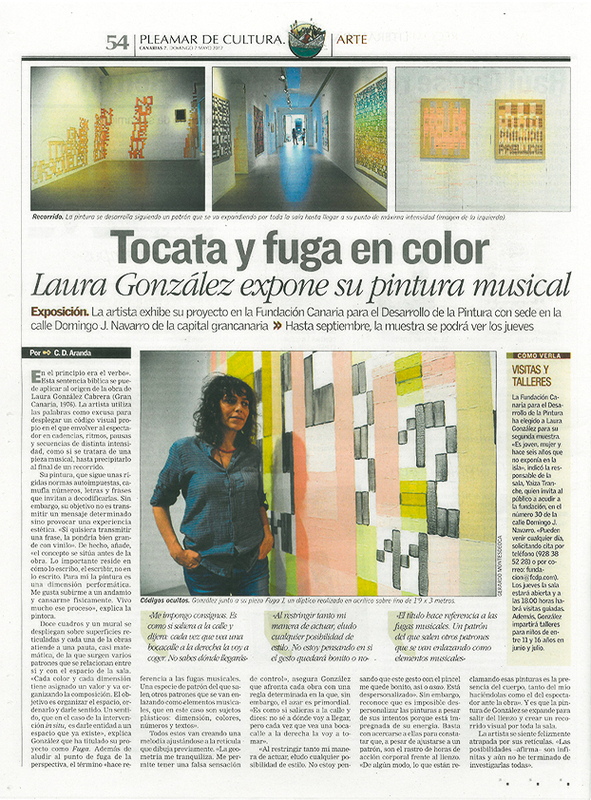 The Fundación Canaria para el Desarrollo de la Pintura is born in a philanthropic way, to be able to show the collection that has been acquired during all these years through temporary exhibitions, as well as to invite artists to exhibit; Wanting to be a new cultural window in the city of Las Palmas de Gran Canaria, open to the outside. Política de Privacidad FCDP 2019 Copyright.